arena on his second ride of Friday’s $35,000 CSI3* Longines World Ranking Class at Live Oak International, but he still managed to deliver an improved performance, stealing the top spot with his own Cooper on a time of 65.76.
Cooper beat his stablemate by less than a second, but Ll Show Jumpers’ Eddie Blue’s time of 66.53 was still good enough for second place. Beating performance by less than a second, Ryan’s first ride Eddie Blue had a time of 66.53 seconds, which was still good enough for second place. “For Eddie, I based [my plan] on [the Longines FEI World Cup™ Final]. They start out with speed as the first leg and then move on to jump-off rounds. I didn’t want to go crazy here, but I want quick enough to prep for World Cup Finals,” he continued. Lauren Tisbo piloted the speedy Coriandolo di Ribano, owned by Tequestrian Farms, to a third place finish with a clear round in 67.41 seconds. “He tends to be a little bit of an exuberant jumper, so it benefits him to carry a more prompt pace the first day. That’s a better preparation for him than some other horses. That was his relaxed round,” she commented. Catherine Tyree sped to fourth place aboard Mary Tyree’s Bokai, managing a time of 68.29 with no poles down. Ryan, Tisbo and Tyree are all in the running for the upcoming Longines FEI World Cup™ Final, April 11-15, in Paris, France. Sunday’s $100,000 Longines FEI World Cup™ Jumping Qualifier Grand Prix will make the final determination as it is the last qualifying opportunity. The $10,000 Waldron Private Wealth 1.40m Power and Speed class got things started for the show jumpers Friday afternoon. Fourth to go was Kady Abrahamson aboard Abrahamson Equestrian’s Charline whose time of 37.54 remained untouched by the rest of the 18-entry class to give her the win. 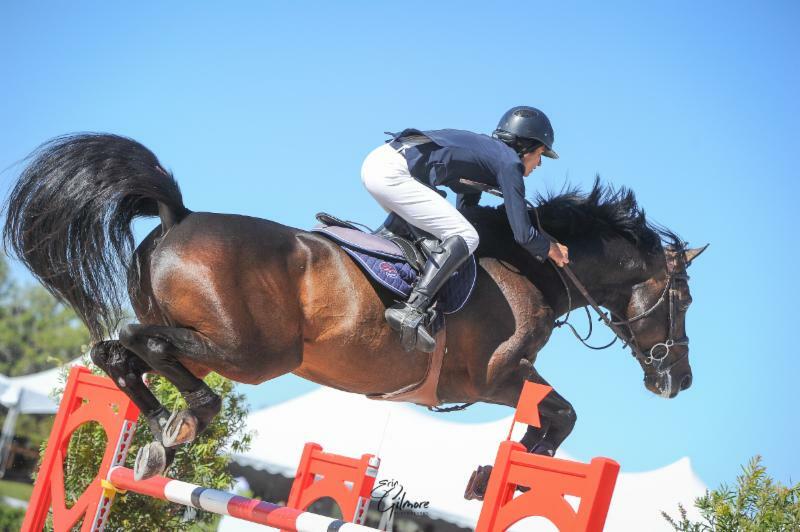 Lauren Tisbo piloted Tequestrian Farm’s Jeleena de Muze to a second place finish. They posted a clear round with a time of 38.30 seconds. 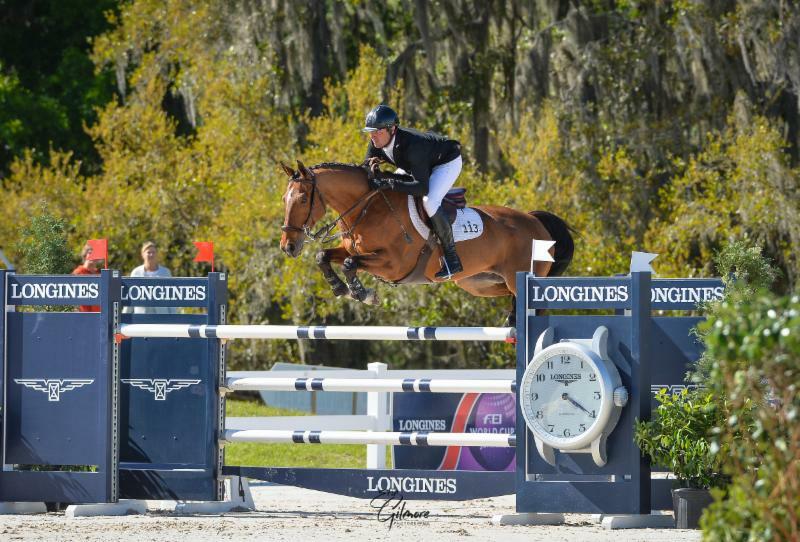 El Salvador’s Paulo Sergio Mateo Santana Filho took home third place with Santana Stables’ Una du Keske Z after a fault-free round with a time of 41.15. 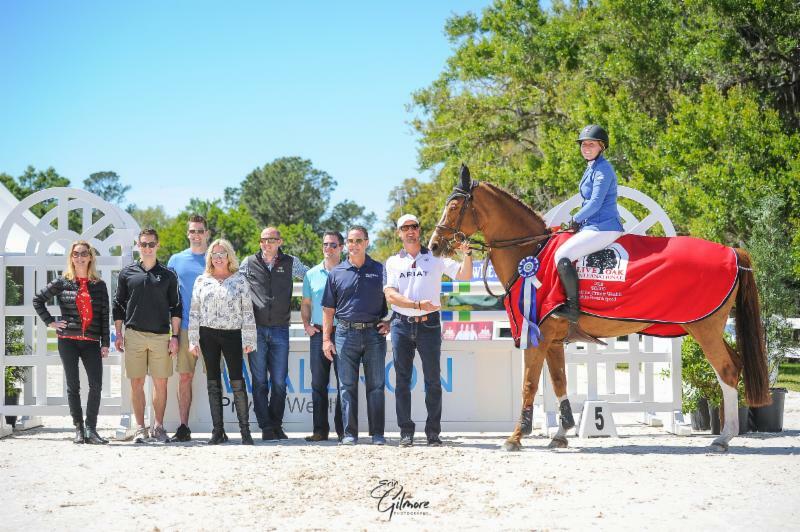 This year’s riders are competing across brand new sand-fiber footing, a new addition to Live Oak International installed this year after the traditional grass arena was damaged by Hurricane Irma last fall. “I thought the footing was great,” Ryan commented. “Walking the course, people were wondering, ‘is it too soft?’ but the horses got off the ground great at every jump. I don’t think you’ll hear a complaint about it after the class.” Ahead of Live Oak International’s 2019 competition, grass will be seeded on top of the sand-fiber mixture ensuring riders and drivers will always compete on world-class ground. Live Oak International is also hosting five USEF Combined Driving National Championships including Four-in-Hand, Intermediate Pair Horse, Intermediate Single Horse, Intermediate Pair Pony, and Intermediate Single Pony divisions. Drivers will take on the exciting marathon phase Saturday starting at 8:00 a.m., before the nail-biting Obstacles finale on Sunday. Show jumping continues Saturday with the $35,000 CSI3* Longines World Ranking Competition at 1:30 p.m. before culminating on Sunday with the $100,000 Longines FEI World Cup™ Jumping Qualifier Grand Prix.